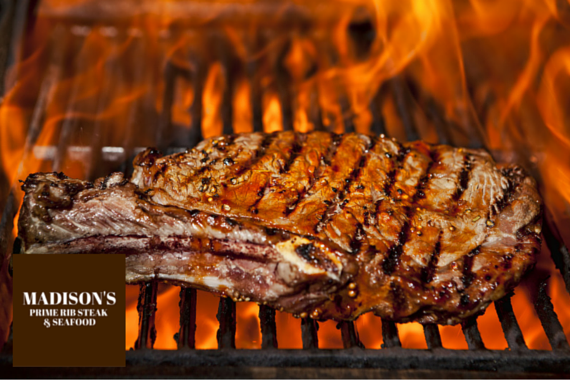 Enjoy quality steaks, a range of seafood and a full bar at Madison's. "We can't wait to see what you come up with!" "It doesn't get any better than this." "Find your next favorite meal straight from our guests: http://bit.ly/2ljsGb3"
"Allow us to dazzle your tastebuds." "Before you take that well-deserved nap, let us know what was on it." Delicious buffet. I will be back! Stopped in while visiting our Marine for Easter weekend, food was great, service was also great. We will definitely be back our next trip down. Great local place to eat! Yes, I'd like to receive news from Madison's Prime Rib & Seafood. Sign up for the Madison's Prime Rib & Seafood Newsletter!